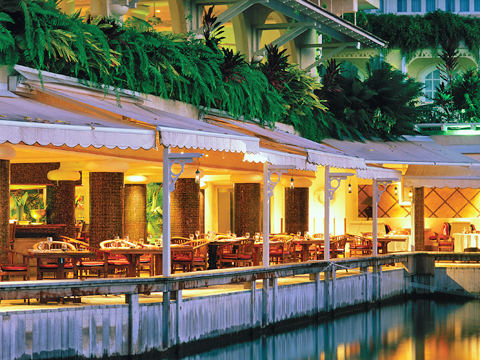 Barbados boasts an exquisite calipe of restaurants offering a wide array of culinary specialties. Ranging from delicious local dishes to international cuisine prepared by some of Europe and the Caribbean’s top chefs, Barbados dining choices are seemingly endless. The West Coast is home to many of the island’s most popular dining spots, including five-star restaurants, quaint local eateries and specialty restaurants offering an assortment of cosmopolitan flavours, including Asian, Indian, Italian and French-inspired menus. In recent years the South Coast has also seen a boon in fine dining facilities, and you can find many local favourites nestled among the hotels and entertainment venues. During the day most establishments accept casual attire, however visitors should keep in mind that Barbados is a conservative island and appropriate cover-ups and shoes are required, even at the beach bars. In the evening, a more formal dress code is expected, however a dinner jacket is not required. While most restaurants accept walk-in guests, it is recommended that reservations be made, especially during the winter season and on weekends when business is heaviest. Not all establishments open for both lunch and dinner so it is best to check with concierge to ensure your dining preferences can be accommodated. A nominal gratuity is often included in the bill, especially for larger parties; however it is at the discretion of the guest to increase or decrease the amount as they deem appropriate.